Plain solar panels may well be the thing of the past after the unveiling of La Monarcha, the world's first solar panel murel. The Land Art Generator Solar Mural art was on display this month at Luminaria: Contemporary Arts Festival in San Antonio, Texas. 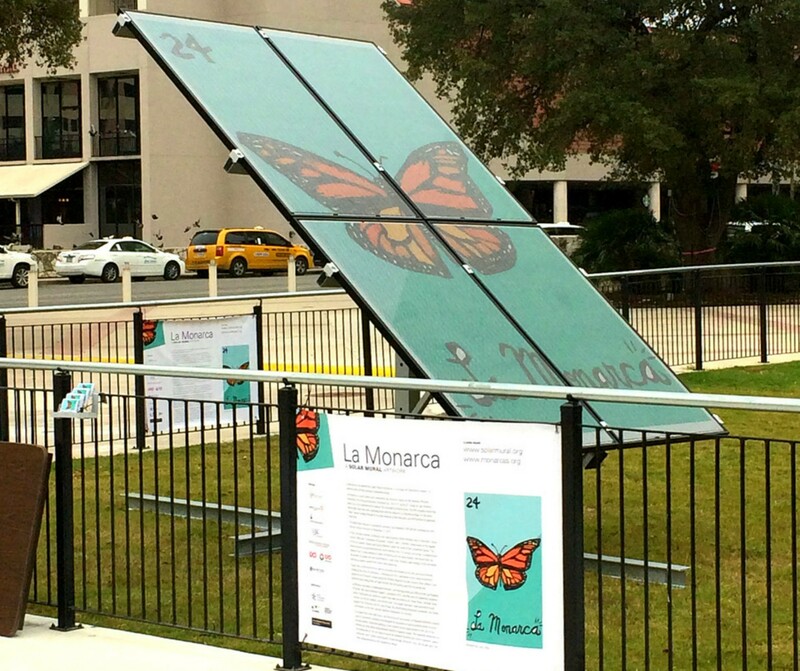 Four solar panels were used to create the Monarch Butterfly loteria card to commemorate the city's standing as the National Wildlife Federation's first Monarch Butterfly Champion City. The solar panel mural will make its home at the EPICenter campus inside a pollinator garden. The future holds the reality of Las Monarchas, additional solar artworks, to provide power to municiple buildings, service centers and other routes along Monarch Butterfly migration. Here's hoping the Seattle-based company's artwork will evolve around the country to beautify commmunities, help power buildings as well as generate wildlife awareness and dangers facing much of our wildlife.